Head here for our in-stock 7.62x39 ammo for sale. These rounds are not in stock. 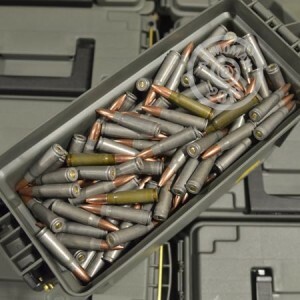 7.62x39 Mixed Lot Steel Cased Ammo With Ammocan! 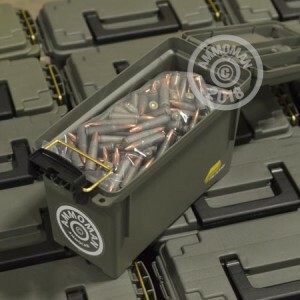 You'll receive 22 Pounds (Approximately 750 Rounds) of mixed lot, steel cased 7.62x39 Ammo, loose packed in a reusable 50 Cal Ammocan. All lots will contain a unique mix of range and defense ammo, in a number of different bullet weights, from a variety of manufacturers. These are loose-packed rounds and because of it, we cannot guarantee specific round counts. Please know, we have done our best to provide a conservative estimate about what to expect with this ammo.